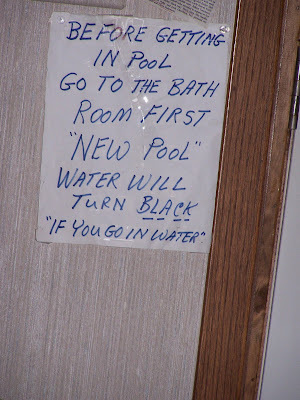 The “Blog” of “Unnecessary” Quotation Marks: "new pool"
What really perplexes me about this one is that it seems that it's the WATER that is new, not the pool. And they would make more sense around the euphemism "go". 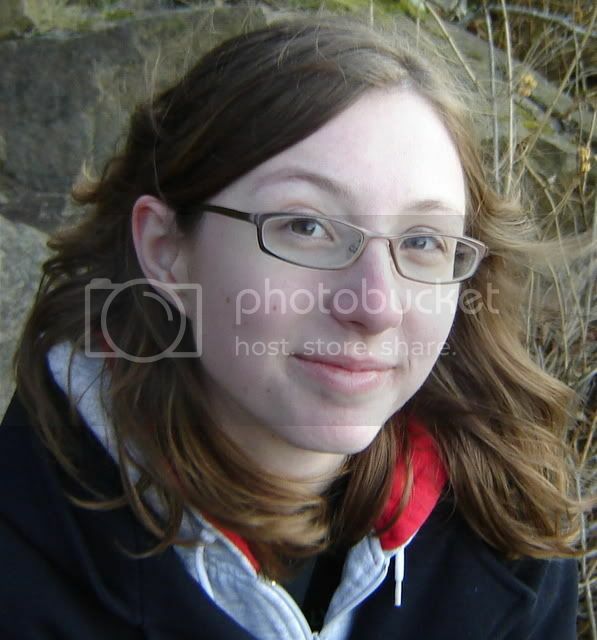 Thanks, Heather. And it looks like someone had to play a game of hangman to get the word "black" on the sign. So, what I am to understand is that if I enter the water it will turn black. No, no it's not new pool water, it's really just a giant toilet. This sign not only suffers from unnecessary quotation marks but an overall lack of punctuation. I'd "go" in the water just and pretend I was an octopus. "Hey look, I inked myself!" Where do I order this newfangled black water that will detect if I "go"? They're saying don't piss in the pool, because they've put in a new chemical that reacts with uric acid and turns the pool water black. I actually thought it meant DON'T GO INTO THE WATER! Couldn't they just say "pee" or "urinate"? And if it's aimed at children, why not say "don't pee-pee"? dang. I was coming here to ask, what kind of freaky "new" pool turns black if you don't shower first?? But that is ridiculous. wtf? no such chemical exists. just fyi. ok, that is the most fascinating part. Thanks, G! Oh no, G, I "beg" to differ. OK, you're right, but they do have "pools" and people do "go" in them. I always loved this lie, it cracks me up....does anyone realize urine traces are in your "drawers" anyway? Holy crud, they do not even know what they are trying to emphasize! It drives me nuts when people do that. "If you go in the water" ... "If you know what I mean".